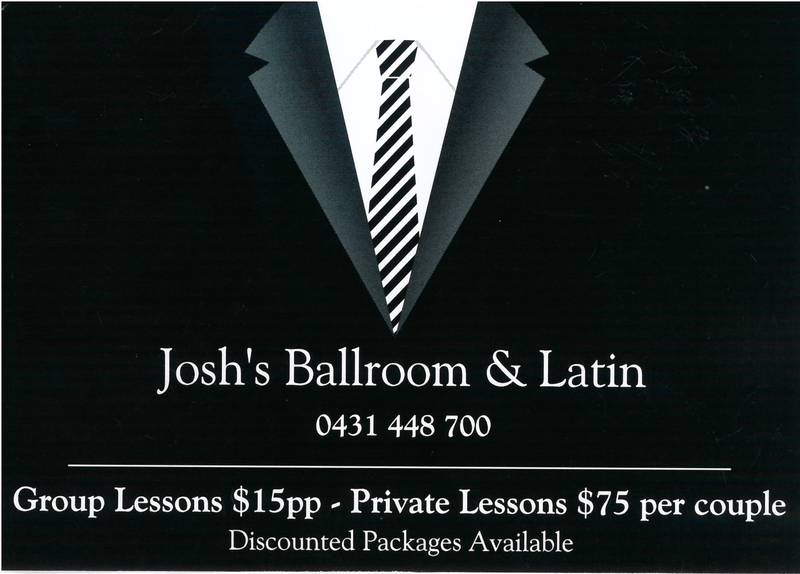 Josh’s Ballroom Dancing is scheduled for every Thursday, unless otherwise advertised, from 16:30 to 20:00. Additional times before and after are available by appointment. Call Josh on 0431 448 700 for more information.